With Workstyle Innovation Technology, productivity is within reach. The LANIER® SP 8400DN Black-and-White Laser Printer comes standard with the 10.1" Smart Operation Panel touchscreen. 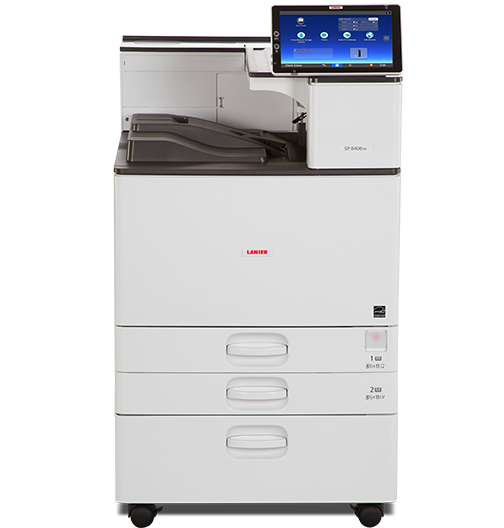 The laser printer can meet almost any deadline with fast print speeds, producing up to 60 black-and-white prints per minute. You can even create print workflow shortcuts to reduce manual steps.